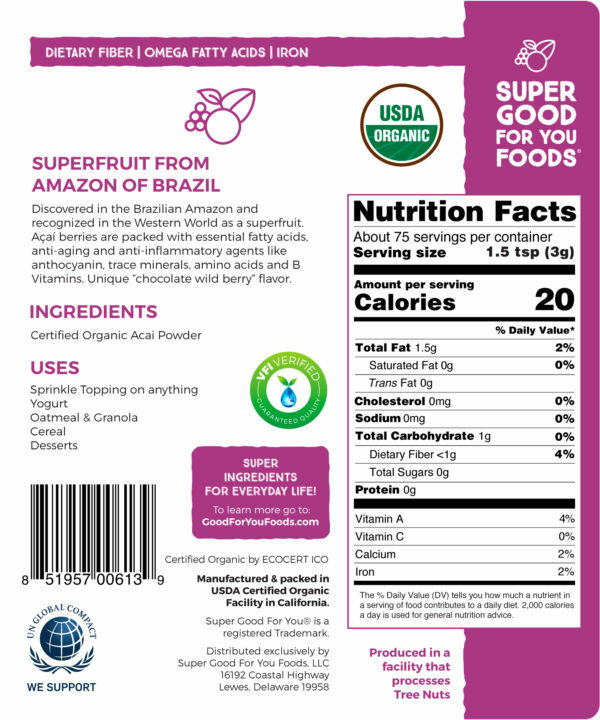 Our Brazilian acai powder comes from the Amazon rainforest. The acai palm has been prized for centuries by the native Caboclo populations as their primary staple crop, whose acai berries provide them with energy and immunity in more than 40% of their diet. Recently accepted in the western world as a superfruit, the acai berry is packed with omega-3 fatty acids, anti-aging and anti-inflammatory agents like resveratrol, anthocyanins, a variety of trace minerals, amino acids and B-vitamins. Often described as having a “chocolate wildberry” taste, our dried acai powder will lend a depth of flavor to smoothies, shakes, juices, and desserts. 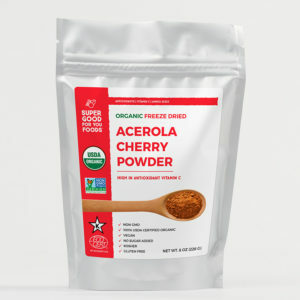 The acai berry is a grape-like fruit harvested from acai palm trees, which are native to the rainforests of South America. Acai berries are widely touted as a so-called superfood, with proponents claiming that they are helpful for a variety of health concerns, including arthritis, cancer, weight loss, high cholesterol, erectile dysfunction, detoxification and improving general health. Many fruits besides acai berries provide antioxidants and other nutrients that are important to your health. But if you’d like to try acai, check your local health food or gourmet stores — acai can be consumed raw, in tablet form, in beverages such as juice, smoothies or energy drinks, or in other food products such as jelly or ice cream. Acai berries are low in sugar, but contain excellent amounts of iron, calcium, fiber, and vitamin A. They also contain anthocyanin compounds such as resveratrol and cyaniding and ferulic acid, which not only give fruits and vegetables their distinct color, but also team up with flavonoids to defend the body against harmful free radicals. 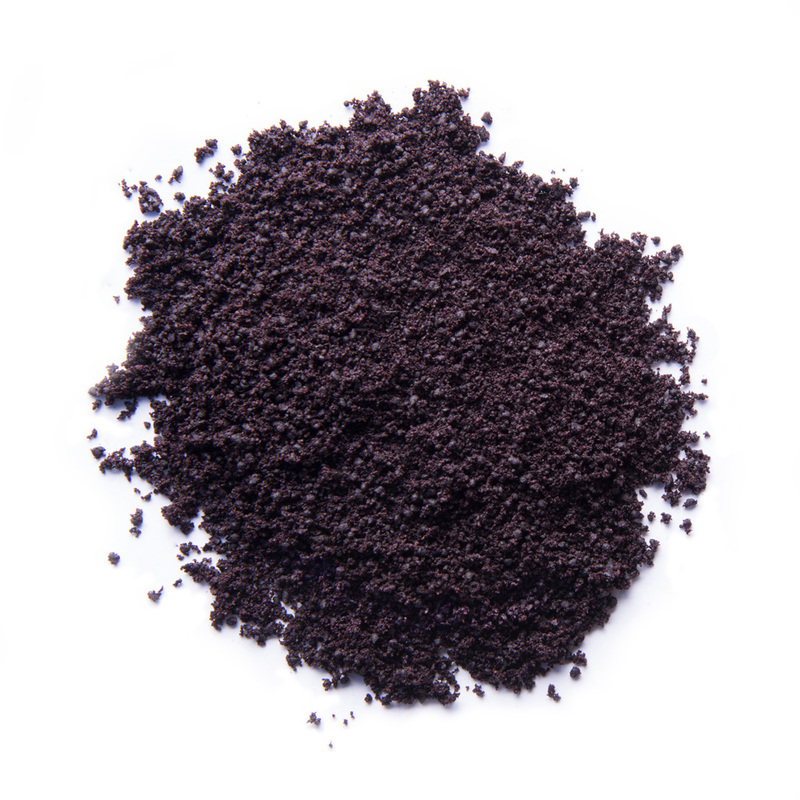 In fact, acai berries contain 10 to 30 times more anthocyanin power than red wine. Beneficial fatty acids such as oleic acid, one of the same oils found in olive oil, is another strong point, and healthy levels of dietary fiber keep the system functioning smoothly. 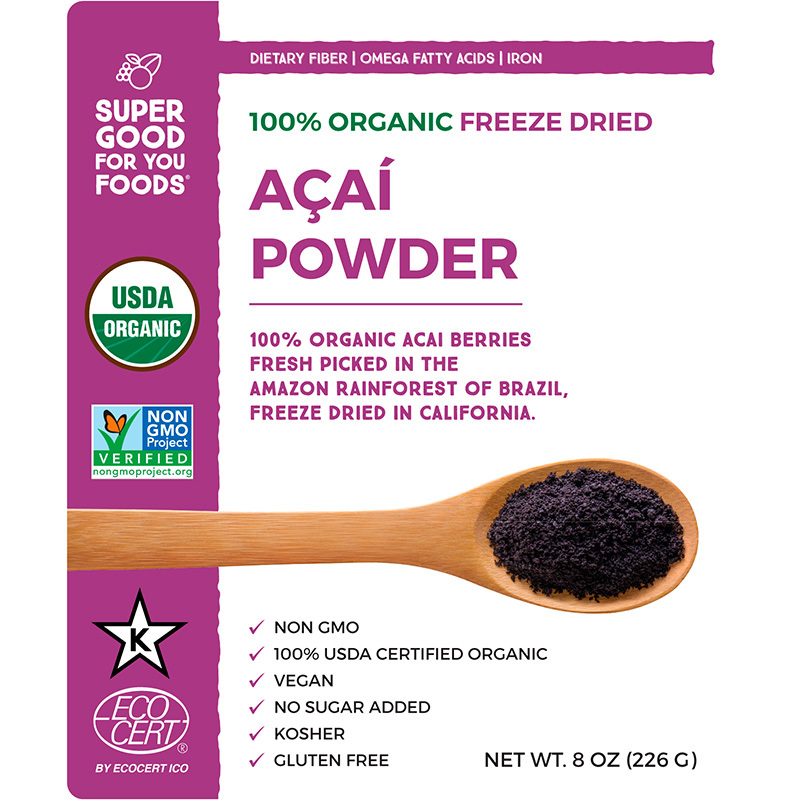 The acai berry contains a high level of antioxidant activity similar to cranberries, but more than what’s been found in blueberries and strawberries. Oxygen Radical Absorbance Capacity (ORAC) values measuring the antioxidant power of acai fruit pulp/skin powder reportedly have the highest ORAC value among fruits and vegetables, or 10 times more antioxidants than red grapes. The properties contained in acai berries may help prevent health problems such as arthritis, inflammation, obesity, erectile dysfunction, neurological diseases, and allergies. Lab studies have shown them to have positive effects on ailments associated with oxidative stress, heart disease, and cancer. We’re all about that Field-to-Fork Freshness— with very few stops along the way. Our quick order processing and Priority Mail shipping brings Acai Powder with no unnecessary delays. We don’t believe our customers should have to pay a premium on bettering their health. In a market where our competitors price novelty ingredients steeply, we keep our prices reasonable so that you get the same great quality at a better value. Açaí, native to swamps and floodplains from Belize to Brazil, is now grown on various fair-trade plantations. Most açaí available commercially comes from the same remote, tropical regions of Central and South America; which is why we carefully process ours with non-invasive methods like freeze-drying to preserve the nutrients that give this berry its natural dark blue-purple color. Mix the oats, flaxseed seeds, Hemp Seeds, sesame seeds, pepitas seeds, cocoa nibs, almonds, cashews, and dried fruit in a bowl. 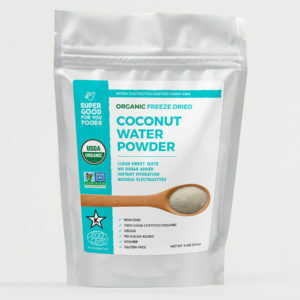 In another bowl, whisk together the oil, maple syrup, salt, coconut sugar, and acai powder. Combine the two mixtures, then spread onto a baking sheet and bake at 275° until toasted, about 45 minutes to an hour.